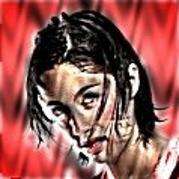 Daloki Mauvais was 37 when she came to Hellifyno, a human with extraordinary mental powers. She came by way of the Haven spaceport, an escaping stowaway, and dove through a portal, pointed out to her by a convenient, kindly stranger, that led her to Worlds’ Crossing. With the few coins she’d managed to steal along the way, she was able to get a penny-a-night room at the Inn of Worlds. 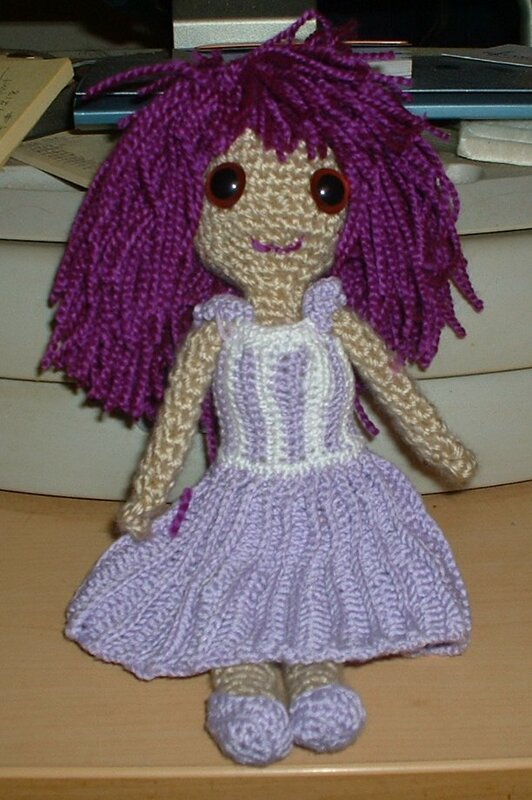 For her crocheted amigurumi doll, Nelly wanted warm skin, brown eyes and “generous curves,” a scoop neck top, and pleated lavender skirt and “purple-mauve” hair. Fortunately, she found a picture of some nail polish in the color she meant by “purple-mauve,” and I was able to find yarn to match. The generous curves aren’t really apparent, but I think I did a good job with the rest. What do you think, Nelly? This was the first time I’d done a human amigurumi, and I learned some new techniques doing it – like how hard it is to do arms with worsted-weight yarn, because they are so slender. Now I tend to use DK or sport yarn for humanoid figures. The pattern I used here called for worsted. Doll based on the Mini Free Spirit Doll from By Hook, By Hand, as are the bodice and shoes. The skirt is my own design. Body, Caron Simply Soft in Bone. Hair: Caron Simply Soft Light in Magenta. Over at Rolepages my main character’s story arc has a lot to do with H.P. Lovecraft’s Cthulhu Mythos. While Cthulhu himself hasn’t appeared, to the public he – or rather it – IS the best-known character. 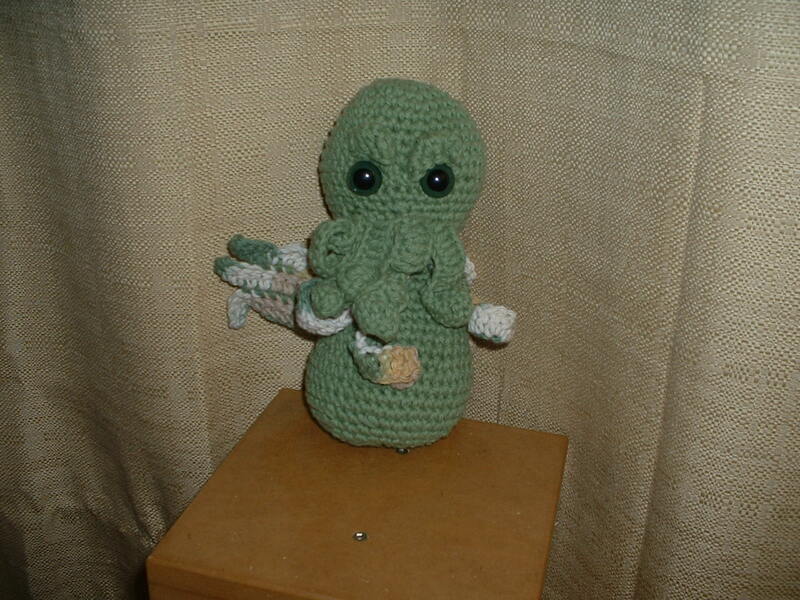 So when I recently took up crocheting again, I was captivated to find patterns for Cthulhu amigurumi. This was unlike anything I’d ever done before, but I just had to make it.